Beautifully finished and incredibly sturdy, the Kids Collection from Lipper International is perfect for any child. Add a new dimension of fun and functionality for your children within any room of your home. Having sturdy design and rugged durability, our tables, desks, chairs and toy chests provide children of all ages with colorful items well suited for play and creativity. The wide assortment of color and design of our Kids Collection will match any child's room and exceed expectations. 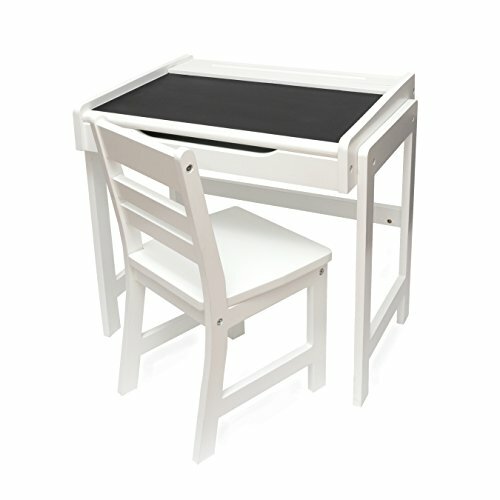 Dimensions: (W x D x H) Desk - 24 ¾" x 18" x 22"; Chair - 11 ¾" x 13" x 23 ¾"